The seed for BikeAAA came as an idea in October, 2012 at Leadership Anne Arundel. 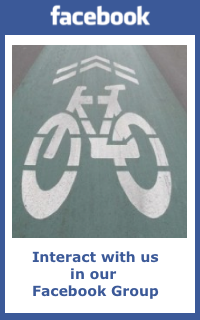 We have now formed an entity and will seek 501c3 status, created a website and Facebook page with a growing community, holding our first program – a Bike Commuter Safety Workshop on May 8, and working with the City of Annapolis to seek Bronze level Bike-friendly Community status from the League of American Bicyclists. Our interim Board is working hard on all fronts to advocate safe cycling for county residents of all ages and parts of Anne Arundel County. Soon we will begin taking Members – individuals, families, businesses and other organizations. But no need to wait to get involved! Get on our list now and tell us how you’d like to help by clicking on Contact Us. Thanks for your interest and support for safer cycling!